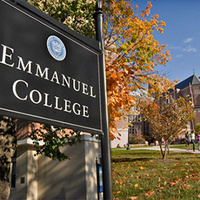 The second floor of the Administration Building is home to the Auditorium where the Emmanuel Theatre Guild and the Colleges of the Fenway dramatic clubs stage performances throughout the year. Join OSAMP as we recognize excellence in student leadership from this year! Information on nominations will be available soon!